I got back this week from a month long Artist in Residence position at the University of Montana, Missoula. There I got a great little studio space with graduate students who were warm, kind and making incredible work! It was an inspiring time where I got to make a lot of work I normally wouldn't have had the ability to make. I often don't get long 8 hour stretches in the studio and some pieces I made in Missoula needed to be started and finished the same day due to the delicate nature of their design. All of these pieces are currently on display at the Clay Studio in Missoula and available for purchase through their gallery. The collection that started it all! Another "project" I worked on while in Missoula was every morning I drank from a different cup that was in Julia Galloway's cupboard (she was my gracious and generous host!). It forced me to try a different cup each day, looking and examining it. Several of the artists I wasn't familiar, others were artists whose work I had always admired. I posted them each morning on Instagram (an image sharing social media platform). I also decided to post them here, so those of you who don't use Instagram can enjoy this beautiful collection of cups! Y is for "You!" 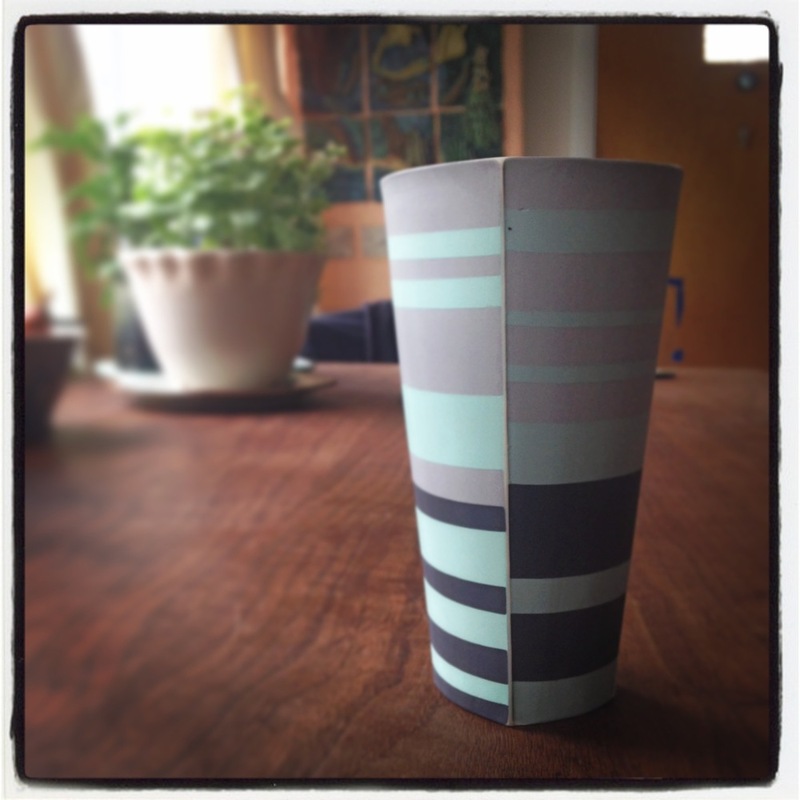 (this is a picture of a cup that I made while in Montana) I hash-tagged everything in this project with #libraryofcups and asked followers to add a picture of their own work photographed by themselves. Please feel free to add your own work to the cupboard collection. Z is for Lilly Zuckerman. Lilly was also staying with me while I lived at Julia Galloway's home. As a special favor to me she created this cup just for my Alphabet Cups Project. Thanks Lilly! I know you don't make cups! One of the greatest parts of this project was finding these older cups of Julia Galloway's sprinkled among the wall of cup. She told me that she kept one piece of her own from each year. A visual record of her life's work, if you may. I really LOVED this and thought this should be shown. So from left to right you see her most recent work trailing over to some of her first pieces. It's quite a journey! I hope that you enjoy these pieces as much as I did and do! Maybe you can start your own Alphabet Cup Project with your own collection! ?